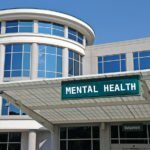 Can Zoloft And Other Antidepressants Get Users “High”? Vicodin is such a highly abused drug because, in part, it is the most prescribed pain relieving drug in the United States. In part because it is a a derivative of combination of a semi-synthetic opioids called hydrocodone. It is mixed with acetaminophen, a non-narcotic analgesic that interferes with the brain’s ability to interpret pain signals. The U.S. Federal Drug Enforcement Agency has designated it as a Schedule III controlled substance with the potential for abuse, physical dependence and psychological dependence. Hydrocodone, the narcotic analgesic in this drug, targets the same receptors in the brain targeted by heroin, morphine and other opioids. Specifically, kappa and mu receptors associated with the central nervous system readily accept hydrocodone to provide rapid and immediate pain relief, a strong sense of euphoria and drowsiness or sedation. In addition, stimulation of these receptors increasing levels of neurotransmitters implicated in addiction, such as serotonin, endorphins and dopamine. As the brain becomes accustomed to having these “feel good” chemicals influence its functioning, abusers will suffer withdrawal symptoms if they stop. Tolerance builds quickly. Within two weeks, a user may find they need to take two pills instead of one to feel any effects. Eventually, two pills are not enough to provide the “high” craved by addicts nor prevent withdrawal symptoms. Abusing it by taking more pills than prescribed may cause the addict to hallucinate, suffer delirium confusion and have dangerously low heart rates. Abusers may also experience intermittent muscle rigidity, increased intracranial pressure and tachycardia (extremely rapid heartbeat). Unless addicts get treatment by entering rehab, the combination of hydrocodone and acetaminophen can cause the following health problems and side effects. Addicts will need to enter a medically managed, detoxification program. Withdrawing from it without professional assistance can be dangerous due to the potential for seizures, dehydration from vomiting and shock. Completion of detox should be followed by cognitive behavioral therapy, relapse prevention counseling, psychotherapeutic interventions and use of medications as prescribed by a psychiatrist or physician for controlling cravings.